Maybe you've searched for "party rentals near me" and found Party Palace Rentals, LLC or maybe you already know we are based in Forest Hill, Maryland. 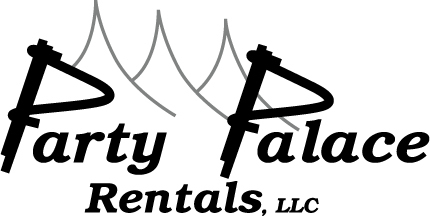 Party Palace Rentals, LLC, party rentals in Baltimore, opened its doors in the fall of 2000 and has been growing ever since. Now with a 1,000-square-foot showroom and a 15,000-square-foot warehouse, we can handle small to large-scale events without any issues. We take pride in servicing our clients with the highest quality of attention. Our dedication is to serve our customers with outstanding performance to achieve exceptional results. In order to maintain our high quality of service, we offer our valued customer assistance in locating equipment not in stock or out-on-rent. It is our policy to assist our clients to the fullest extent in our family business. Turn to us to make your next gathering truly unforgettable with our table and chair rentals, bounce houses, and tent rentals in Baltimore. Contact us at 410.836.0085 or fill out the form for more information about our party rentals and services from tents, and inflatables and games to tables and chairs in Baltimore, MD and surrounding areas.